← Five Stories in Four Weeks! Five Stories in Four Weeks – Scholarship Available! 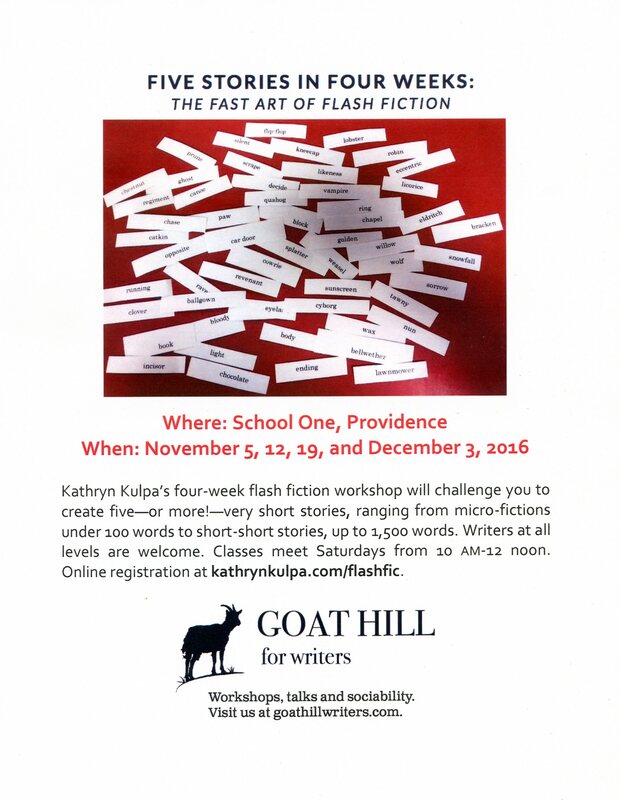 I want to make my November flash fiction workshop series, “Five Stories in Four Weeks,” accessible to all writers. So I’m offering a “pay what you can” scholarship, and I’m keeping it REALLY simple. The class is focused on flash fiction. It’s an alternative to NaNoWriMo, for those who don’t have the time to commit to writing a full novel in one month–or those who just prefer the brevity and concision of the short form. The course fee is $225, or $58/session as a drop-in. There is also a 25% discount for early registration (by October 31) and a 50% discount for a friend if you register together. Register for the workshop right here. But if you’re a writer who struggles to pay the bills, $225 can be a big commitment. So I’d like to welcome anyone who thinks writing classes are too expensive or inaccessible to apply for a scholarship simply by sending me an email. Just describe your economic situation and any challenges/expenses you have (for example, if you need to pay for child care to attend a workshop), let me know what you can afford to pay (even if it’s nothing! ), and tell me why this writing class would help you meet your own writing goals. Send your scholarship letter to katekulpa (at) gmail.com. And if you don’t need a scholarship, but would like to contribute to sponsoring a scholarship for other writers, let me know that, too!